2. 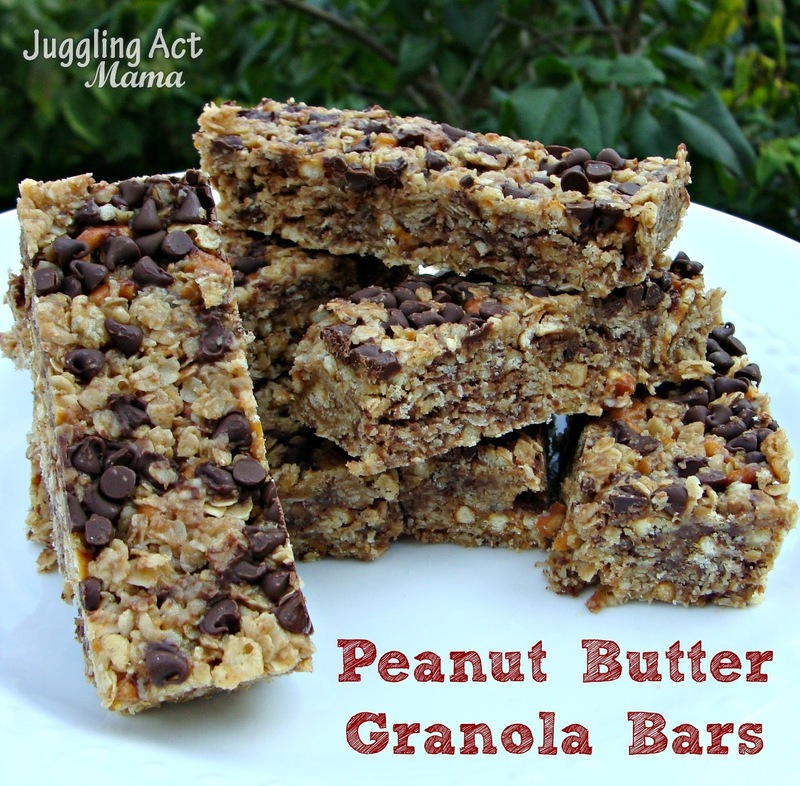 I almost love these Peanut Butter Granola Bars more than Mr. Juggling Act. Ok, maybe I’m exaggerating a little, but listen up, buttercup – these babies have it going on! There’s the peanut butter and chocolate favors, meshed with the salty pretzels and the great texture from the krispy rice cereal and the oat. I could wax poetic about these all day, but how about if I skip that and give you the recipe? Line a 9×9 pan and lightly spray with cooking spray. 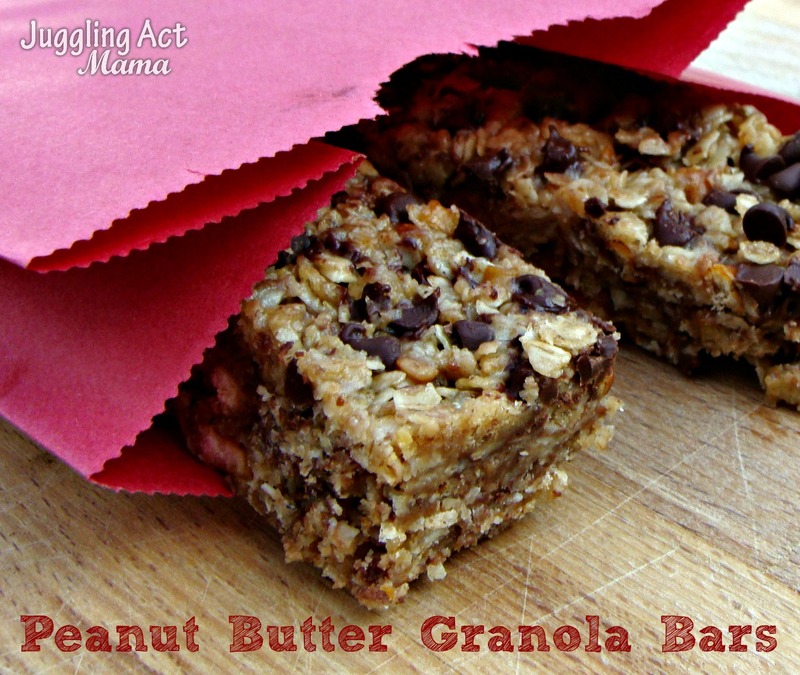 In a large bowl, mix together the oats, cereal, flax seed and pretzels. Using a medium saucepan, melt the butter with the peanut butter, honey and brown sugar. When the mixture begins to bubble, remove from the heat and add the vanilla extract. Pour the liquid over the oat mixture and mix to combine. Fold in half the mini chocolate chips at the end quickly, then press the mixture into the prepared pan. Top with the remaining chips and press down using the spatula. Chill for at least 30 minutes before cutting. Store in the fridge after cutting. What’s your favorite kind of granola bar? Sweet? Salty? Nutty? Fruity? I am excited to try this recipe!! With 3 kids from teen to three it’s sometimes hard to find something the all like!! I am also from the wonderful state of NH!! !